As part of a national conversation about the importance of arts education, The Tony Awards® and Carnegie Mellon University (CMU) asked the American public to tell them which theatre educators inspired them to be better artists, and better people. More than 4,000 educators across 47 states were nominated for the inaugural Excellence in Theatre Education Award and just three received particular distinction, including BSA’s own Donald Hicken, theatre department head since the school’s inception and a member of BSA’s founding team of educators. Hicken is one of two finalists. News of the honor spread fast in Baltimore and Sun reporter Tim Smith wrote about Hicken, “One of Baltimore’s best theater teachers and directors has been honored by the Tony Awards.” Click here for the story. Rebecca Ritzel reported in The Washington Post, “Hicken has been the director of the theater department at the Baltimore School for the Arts for nearly 40 years, and on Sunday night in New York he was recognized as one of the top drama teachers in the country — at no less prestigious a forum than the Tony Awards.” Click here for the story. As people learn about this honor, there has been an outpouring of support for Donald Hicken. “This man…my mentor, my friend and the person who breathed life into [a] 13 year old girl who was lost- has been nominated for a Tony Award… I’m beaming with pride for him,” commented graduate Susan Patterson Dalian. In addition to his work as an educator, mentor, and leader at BSA (since 1979), Donald Hicken has had a formidable impact in theatre. At BSA, his productions include: Romeo and Juliet, Lysistrata, The Rimers of Eldridge, A Midsummer Night’s Dream, Marat/Sade, Curse of the Starving Class, Yerma, The Caucasian Chalk Circle, The Lady From Maxim’s, his own adaptation of The Wind in the Willows, A Chekov Sampler, Ionescorama (an evening of one-act plays by Eugene Ionesco), the world premiere of Chalk by Al Letson (co-commissioned with the Baltimore Theatre Project), and Our Town. He has directed Ghosts (BSA grad Sophie Hinderberger was in the cast), Red (click here to read about his work with BSA and CMU graduate Eric Berryman, a resident at Everyman), Heroes, Fifty Words, Shooting Star, Our Town, I Am My Own Wife, The Turn of the Screw, Betrayal, The Cripple of Inishmaan, The Children’s Hour, Jacques Brel, My Children! My Africa!, Watch On The Rhine, The Road To Mecca, and The Lion in Winter for Everyman Theatre. For The Glass Menagerie at Round House Theatre he received the Helen Hayes Award for Outstanding Director, Resident Production, 2001. He has also directed at The Berkshire Theatre Festival, The Baltimore Shakespeare Festival, The Kenyon Festival Theatre, Rep Stage, and Pennsylvania Stage Company. He created and directed Steps in Time: Scenes from 1840 Baltimore for The Baltimore City Life Museums. 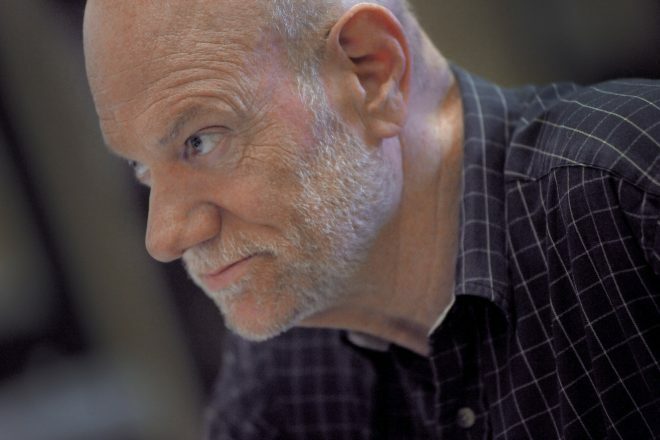 Hicken founded The Center Stage Conservatory, The Actors’ Conservatory and has taught master classes at The Berkshire Theatre Festival where he developed Fog People, a celebration of the Eugene O’Neill centenary. He also serves as the Chairman of the Education Committee for the Hippodrome Foundation, and oversees all youth programming for the historic Hippodrome Theatre. In 2009 he received the League Educator Apple Award from The Broadway League, the national trade organization for the commercial theatre industry for his work at the Hippodrome. Corey Mitchell, theater arts teacher at the Northwest School of the Arts in Charlotte, NC, was the winner of the Excellence in Theatre Education Award, and Marianne Adams, director of education at the Grandstreet Theatre School in Helena, MT, was the other finalist with Hicken.